The Refrigerator - Food - We Like It! The Ravioli Shop on Winton Road near Mayer's Hardware is the best thing to happen to this neighborhood in a long time. 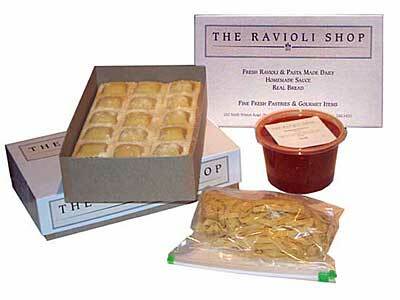 They make fresh ravioli here and pack the many varieties in beautifully designed cardboard boxes. One dish of sauce and a box of ravioli are around ten bucks and will serve two for two nights with about ten minutes prep time. They make their own sauce which is fantastic and they bake bread daily. Get there after three and you can pick up fresh baguettes.